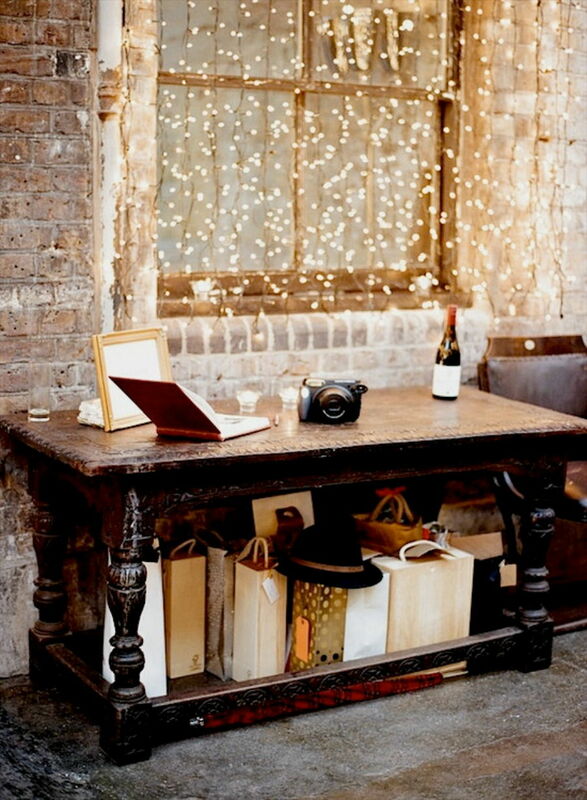 Fairy lights aren’t just for the holidays – here’s how you can leave them up all year! 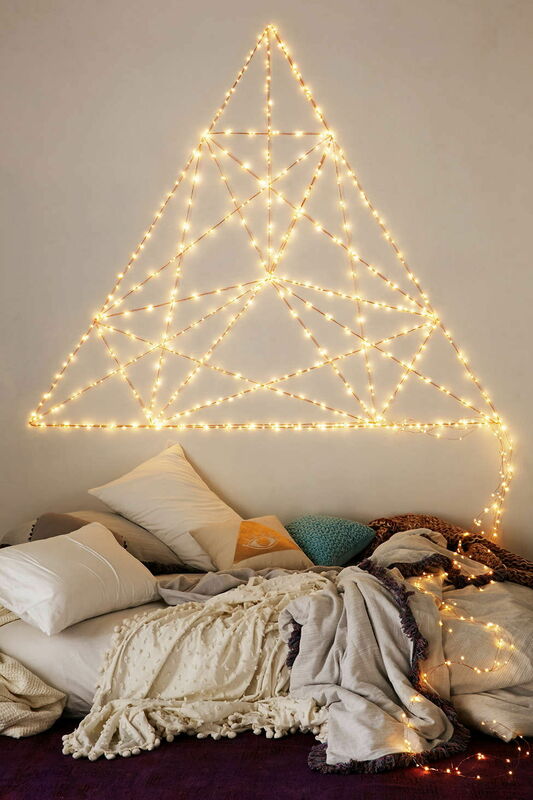 Fairy lights, string lights, LED lights, Christmas lights …whatever you call them, they sure are pretty. If you loved the strands and strands (and more strands!) 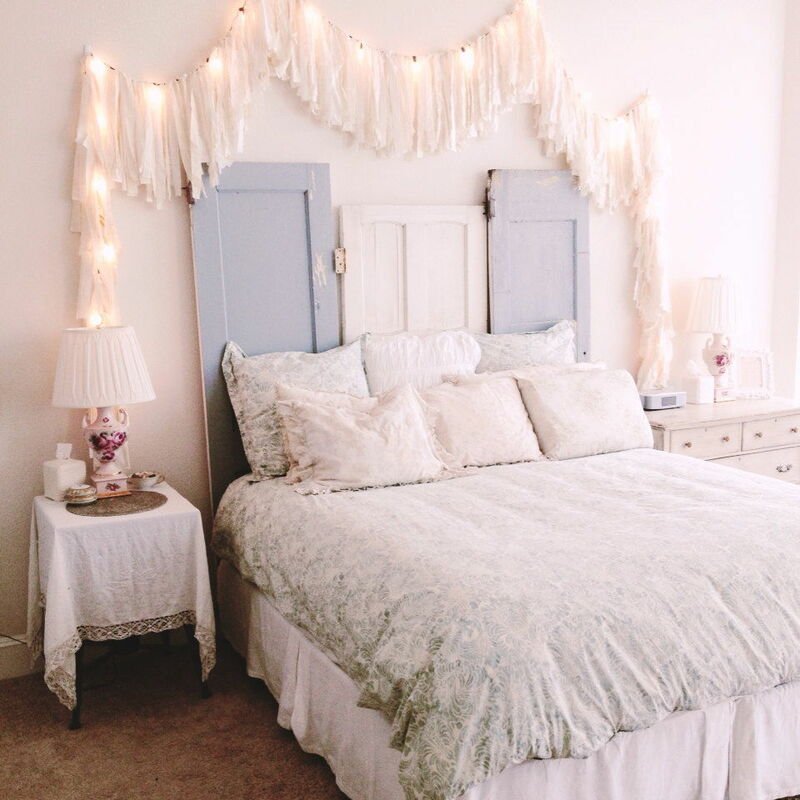 of fairy lights in Stranger Things, you’ll love these fairy light décor ideas that are perfect for all year round. 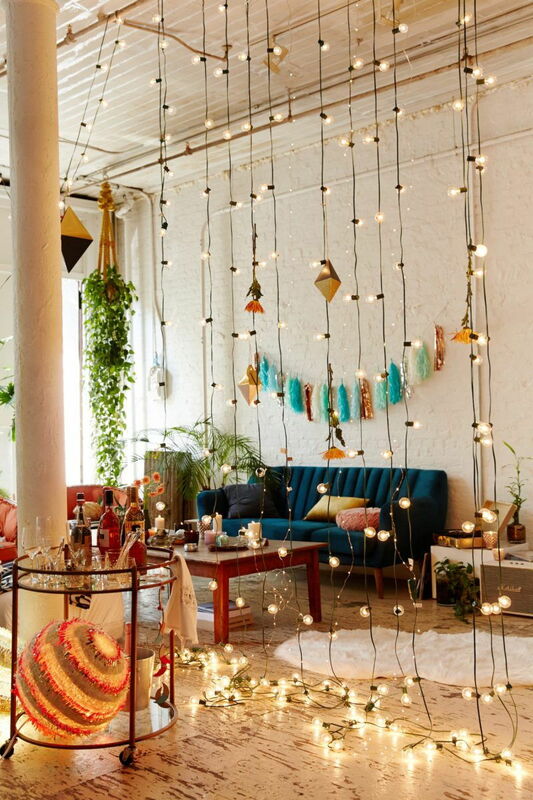 Pro-tip: Cheap fairy lights are a fire hazard, so shop wisely! The twinkling LED lights you buy in bulk during the festive season are made for temporary use, and can overheat when left on too long. This is especially important if you’re leaving your lights on overnight or hanging them close to flammable fabrics. Talk to your local hardware store for long term recommendations. 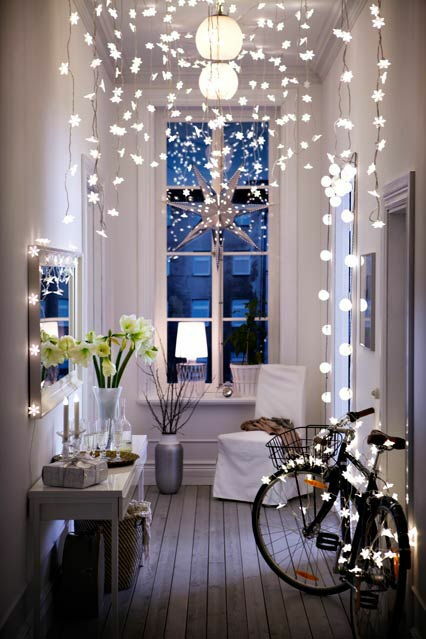 Fairy lights zig-zagged across the ceiling provide just the right amount of light for stairwells, hallways, or the pathway leading up to your home. Imagine coming home to this every day! 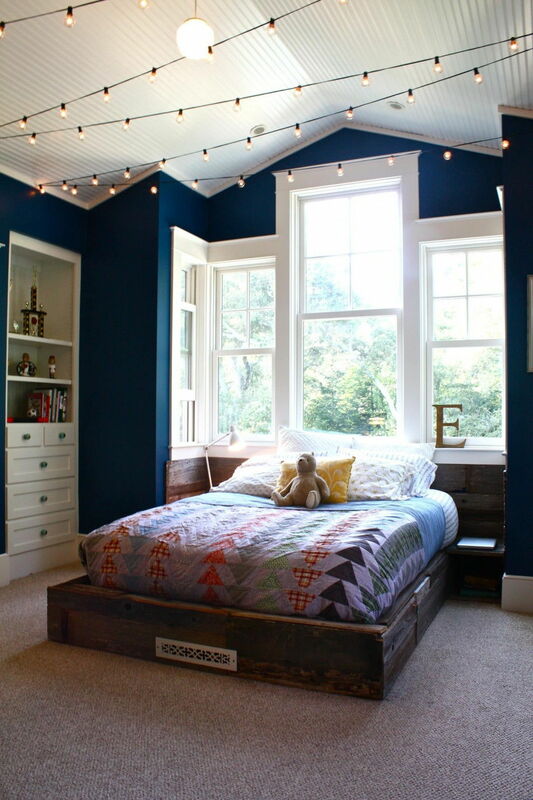 They’re also great if you feel like you’ve outgrown night lights but still need a little help keeping the boogeymen away – paint your ceiling in a darker colour to mimic a starry night outdoors. String them above dining tables, patios, and reading nooks to set the mood when fluorescent lights just won’t do. Fairy lights give your vanity an old Hollywood-esque sense of glamour. 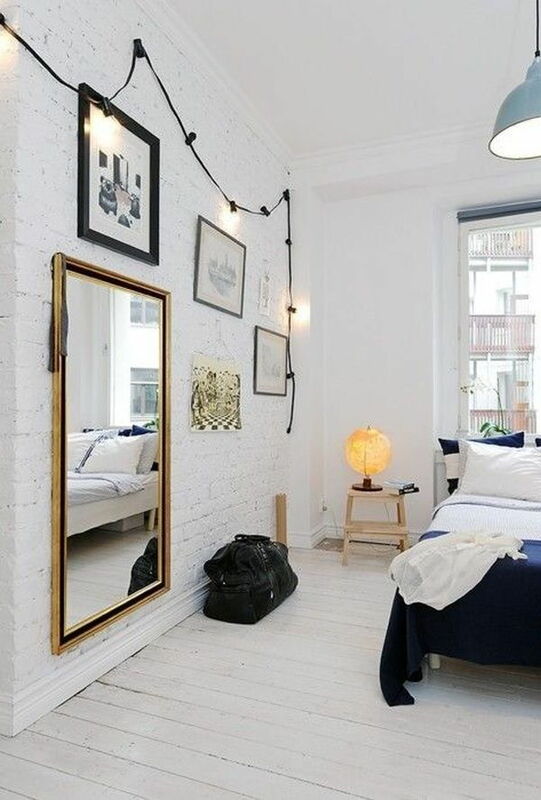 Use them as a framing device to pull together your room’s look, pin them around the doors, windows, headboards, or even a focal wall. Hang over paintings or under shelves for makeshift display lights. This also helps separate different spaces – bedroom and study area, dining space and living room – in rooms that are used for multiple functions. Pair with printed tapestries and rich colours and fabrics for a Bohemian vibe. 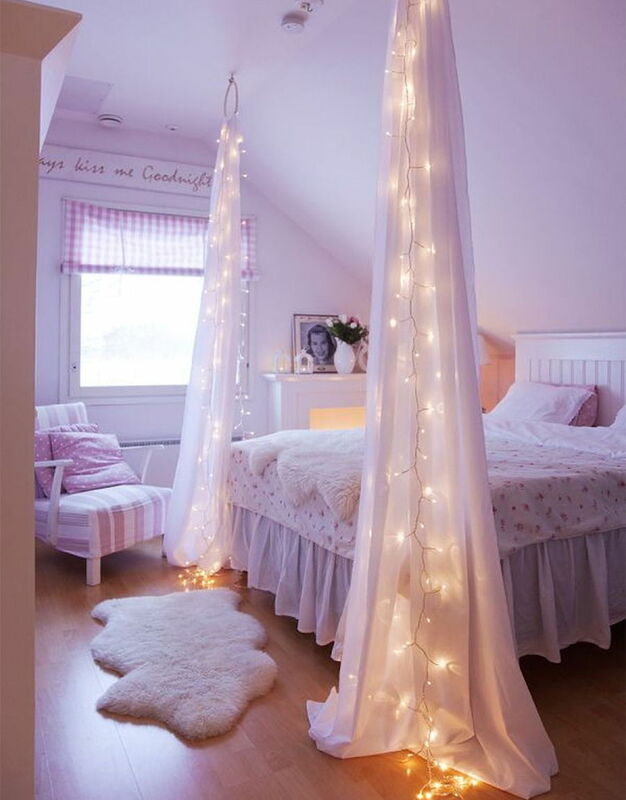 Strings of light hung in a waterfall fashion make excellent room dividers, especially if you’re living in a small space where bulky curtains or wooden dividers can make it seem even more cramped. Forget the blinds! 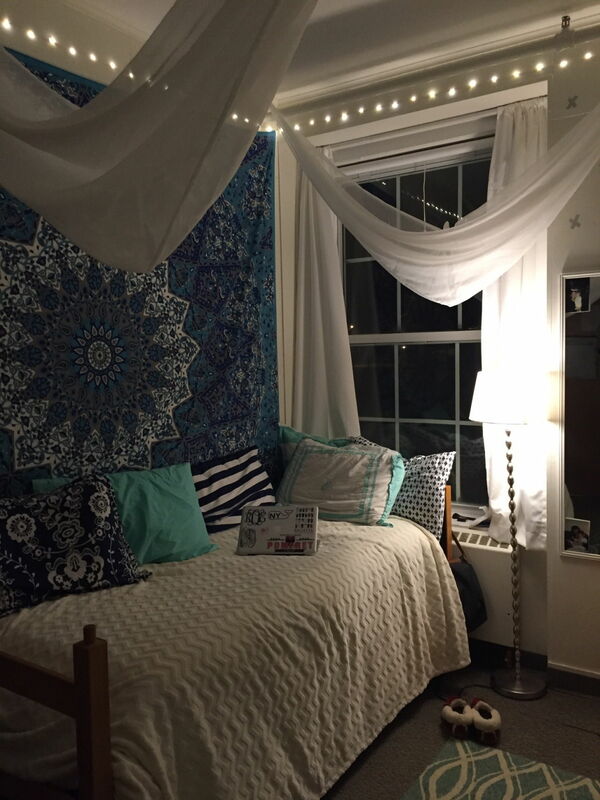 String lights also look great hung in place of more traditional window shades. 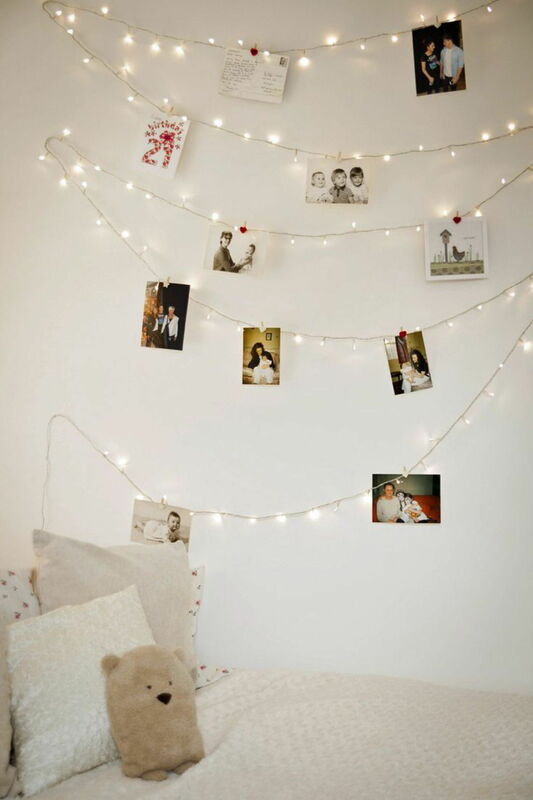 Use your fairy lights to create a display wall; we particularly like designs that borrow elements from nature like constellations, sun beams, and rain. 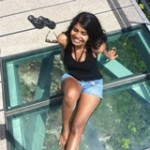 Why stop at designs? 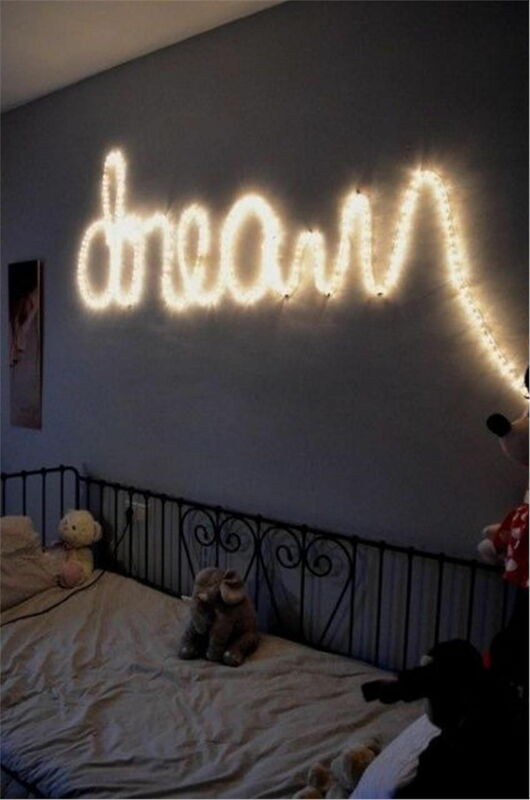 Spell out your favourite words in bright lights to keep you inspired! 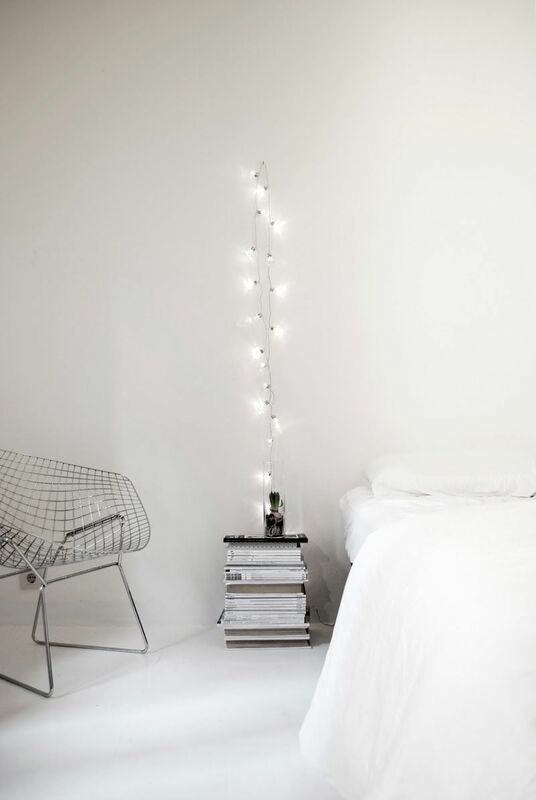 Fairy lights look amazing when contrasted against white fabrics – this is a look that works well with a real (or faux!) 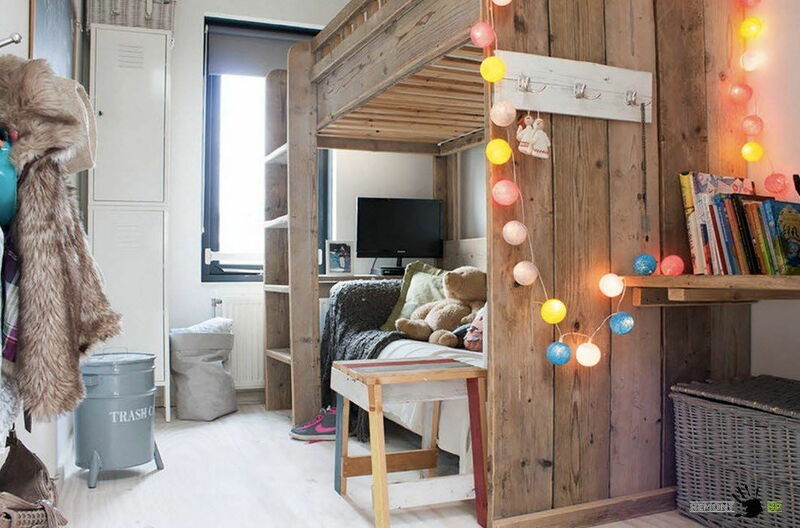 canopy bed. Mix and match coloured lights beneath curtains for a shimmery effect. Double on duties with an extra thick cord – you can clip on Polaroids, to-do notes, and lightweight accessories. 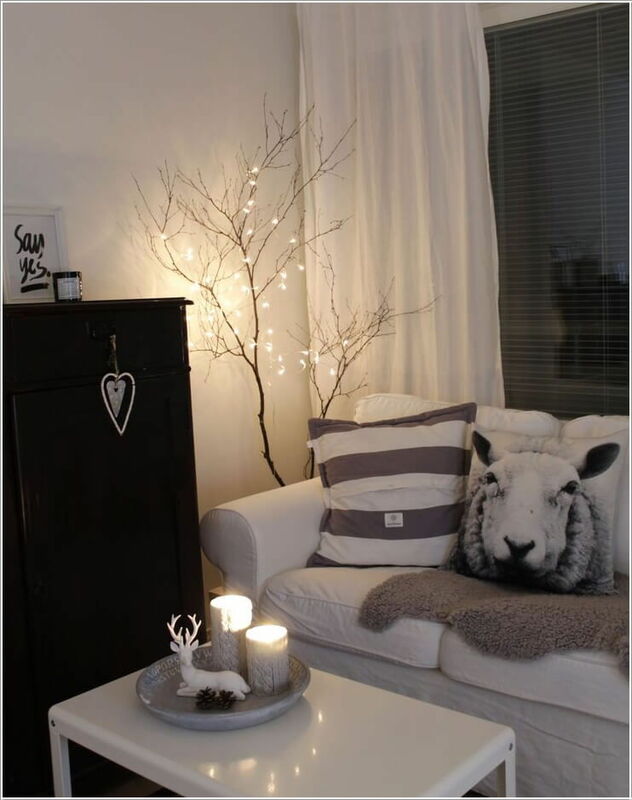 You can also give blah furniture or sculptures a new lease of life by wrapping them in fairy lights. 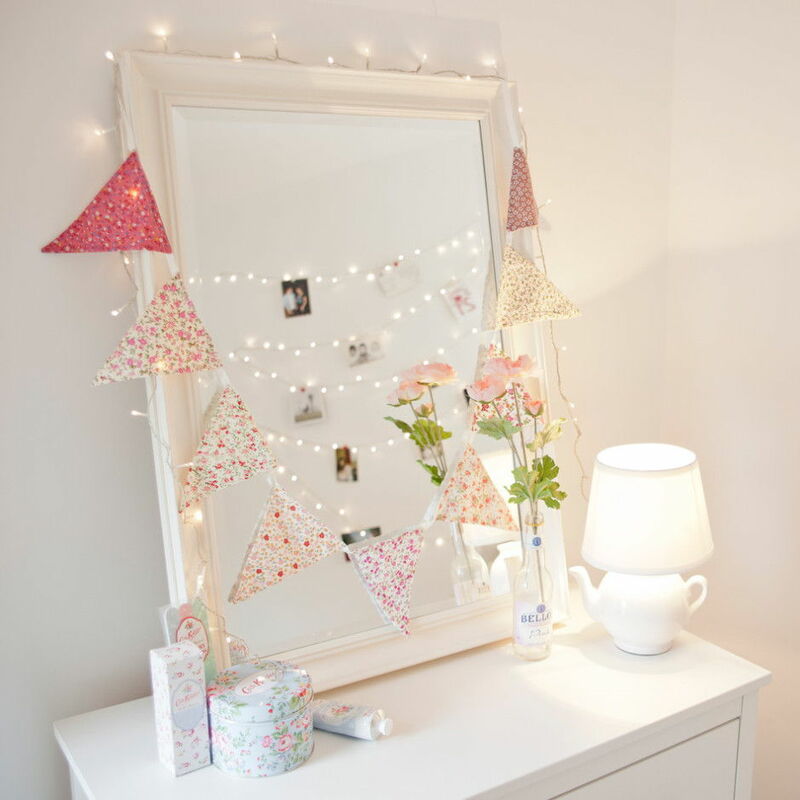 Fairy lights too mainstream for you? 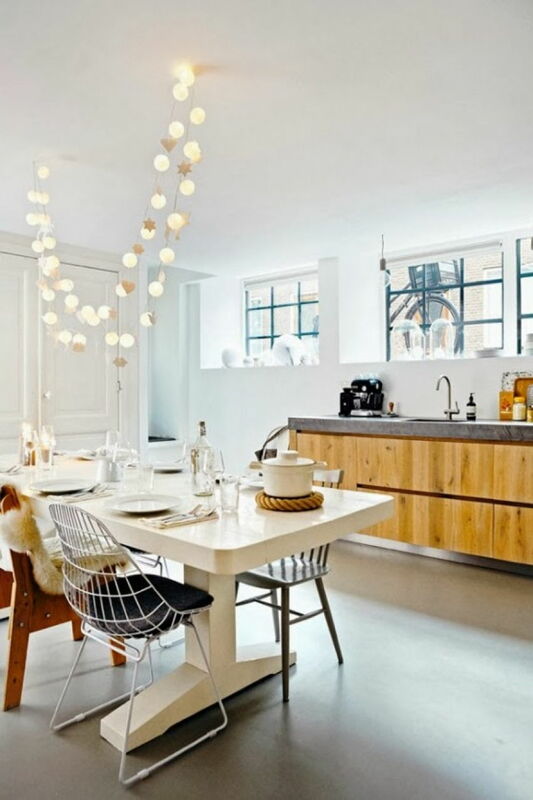 We love the pom pom light trend that has been taking teenage bedrooms by storm – you can find these at most department stores. Alternatively, DIY your own lamp shades with crepe paper. Tone down the canopy look with a row of pastel tassels instead! 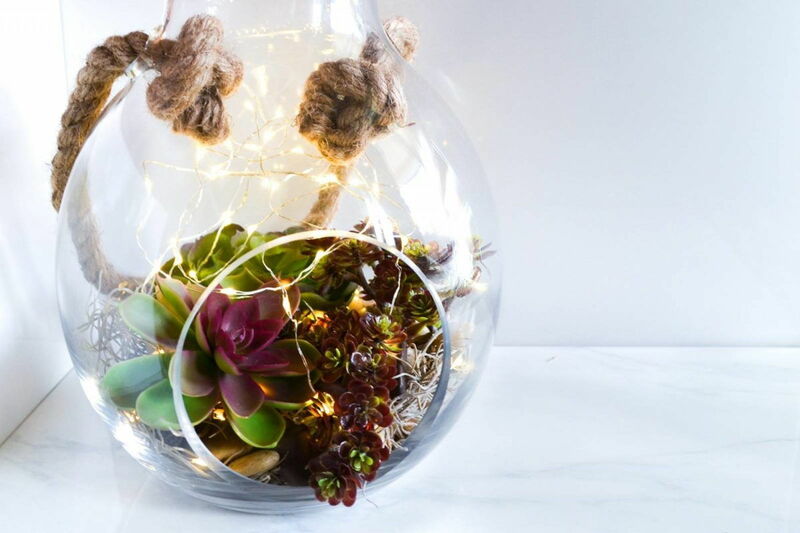 Mason jars filled with fairy lights are a staple on most home DIY-ers Pinterest board; turn it up a notch with lighted terrariums and miniature gardens. 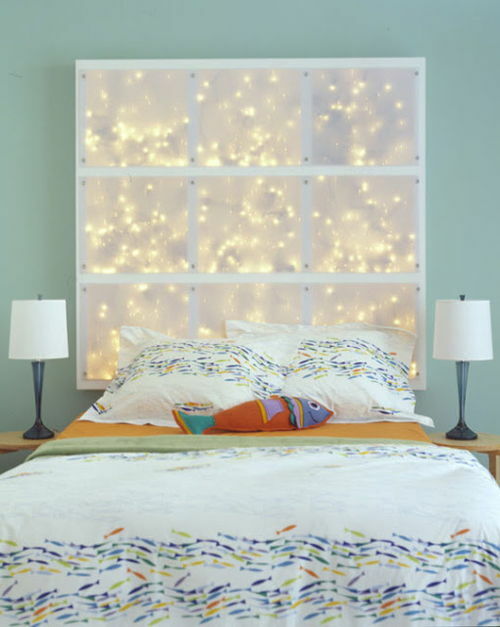 Fairy lights behind a silk screen or a tautly pulled piece of white fabric make for a unique headboard with enough light for night reading. 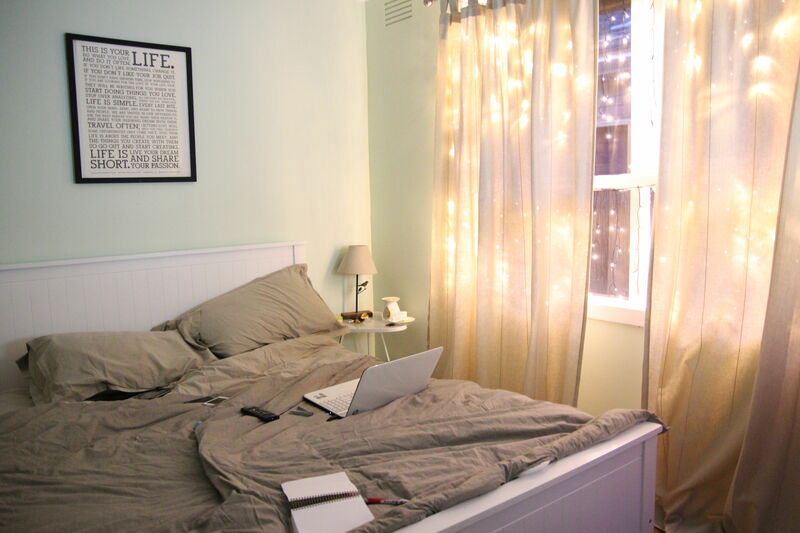 You can also create your own bedside lamp by taping fairy lights above a faux lamp base. 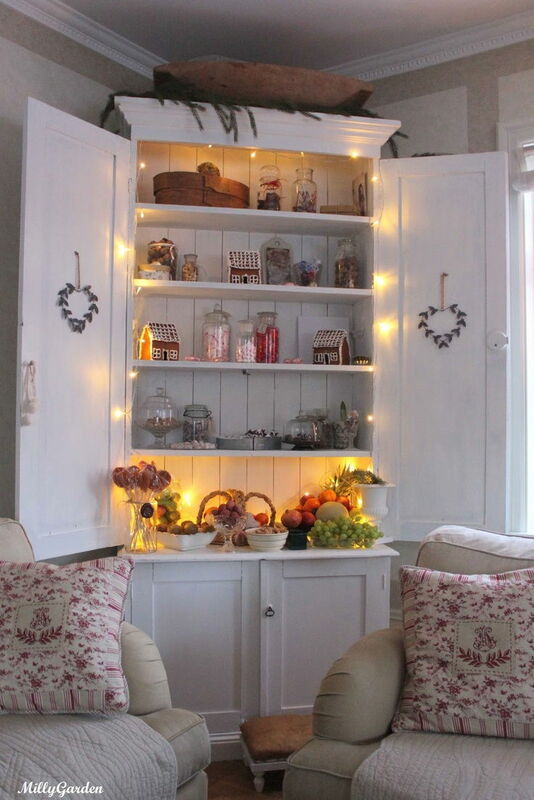 Hang fairy lights on the backs and sides of glass doored cupboards to illuminate your prized possessions.